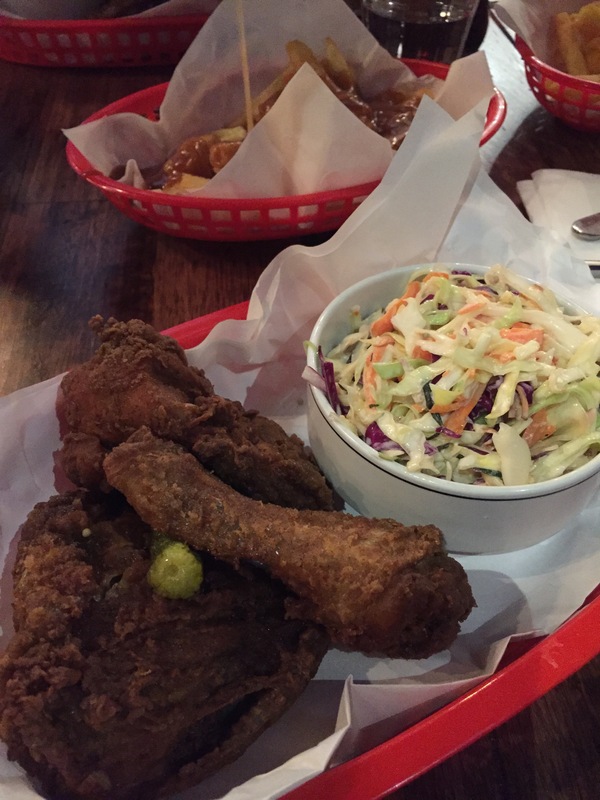 The people behind the Two Little Pigs Chaceuterie and Grind bring us their new venture – fried chicken! Really with such a subject, how could you go wrong? F.A.T. stands for ‘fried and tasty’ but we were under no illusions that the food we were going to consume was anything other than fattening. 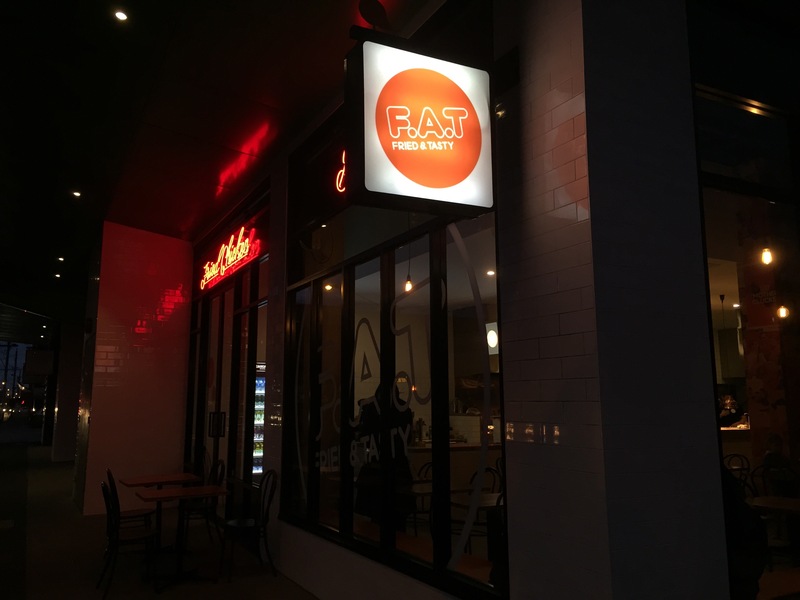 F.A.T. is up the northern end of Lygon street, accessible by the 1 or 8 tram and easily visible on the corner of Lygon and Victoria streets. 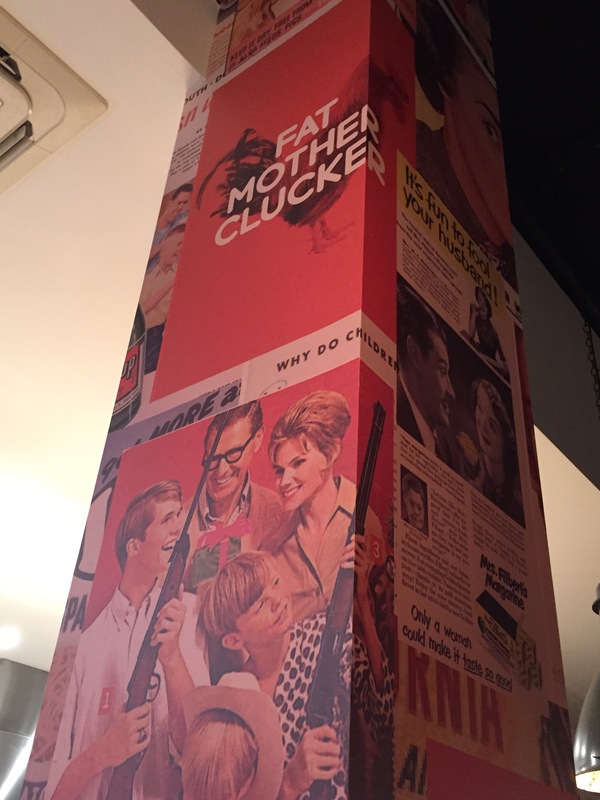 It’s in a new building with a slick fit out, the walls are inspired by old school hip hop with a few chicken related puns thrown in for good measure. 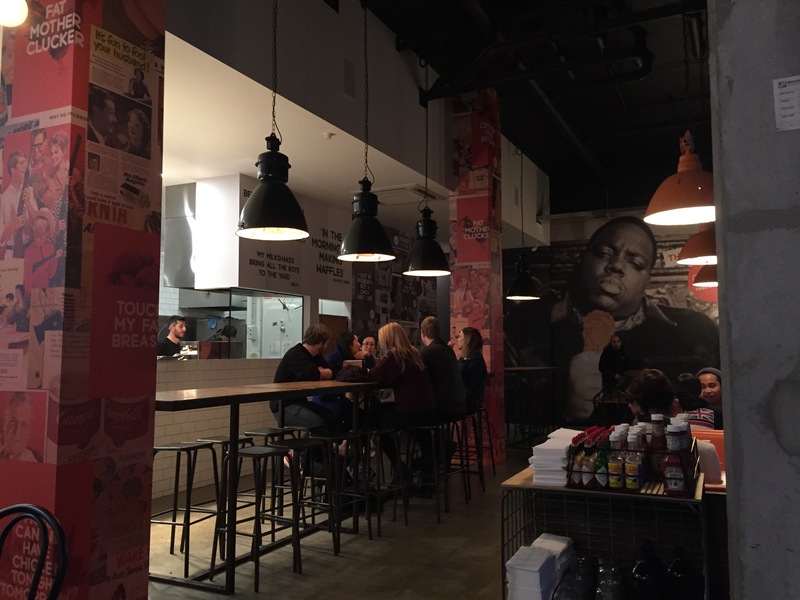 The ambience sits somewhere between a fast food chain and a hipster bar. We’d say it’s closer to a fast food chain by virtue of orders being placed at the counter and the menu sitting above it. We ended up getting a table before wandering back to place orders. This is a restaurant that is all about fried chicken and milkshakes, so it was natural to get started with a milkshake. Our choice was the salted caramel – a big and frothy serve for $7. It’s certainly on the pricey side, but without a doubt worth trying once. 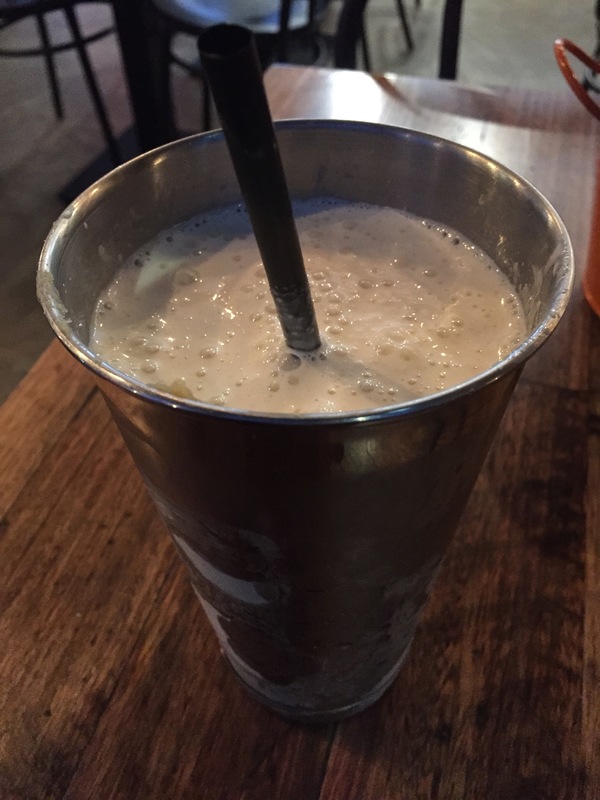 It’s not one of the crazy insta-shakes floating around social media, just a traditional milkshake that really aces the flavour stakes. I don’t know how they managed to get the salty flavour but it was definitely there, along with the caramel throughout and in thicker clumps around the sides of the glass. The milkshake is so large it could be a meal in itself, make sure you’re hungry before attempting it! The chicken is a dark fry, wonderfully tender and light, not greasy or overdone. The comparison with KFC chicken is unavoidable – after all they specialize in the same thing. This however is light, less greasy and more refined chicken. That being said it’s still fried chicken and probably double the price. I would argue it’s worth it for the chicken and the more sophisticated and delicious sides. 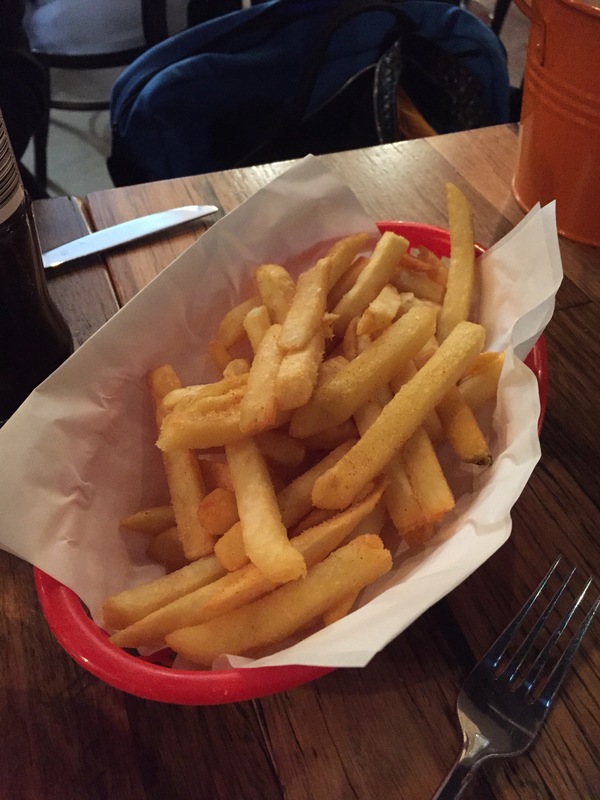 The coleslaw in particular was light and tangy, just what we like. The difference is F.A.T. pressure fry their chicken, preserving that moistness and tenderness in the meat. It’s something that makes them stand out in a city that’s pretty obsessed with their chicken. We weren’t super impressed by the Poutine, it wasn’t particularly authentic because it wasn’t served with curd. 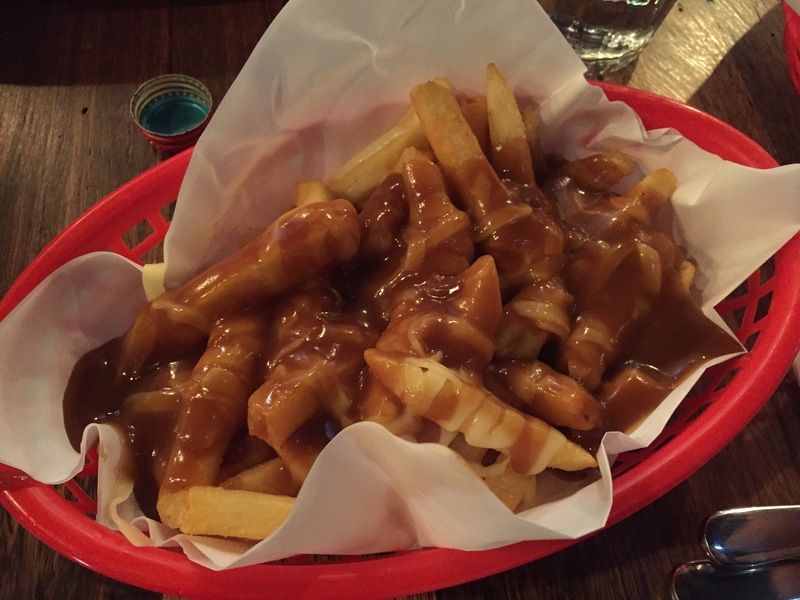 The gravy was a little underwhelming too but the chips were delicious, crispy, hot and salty. 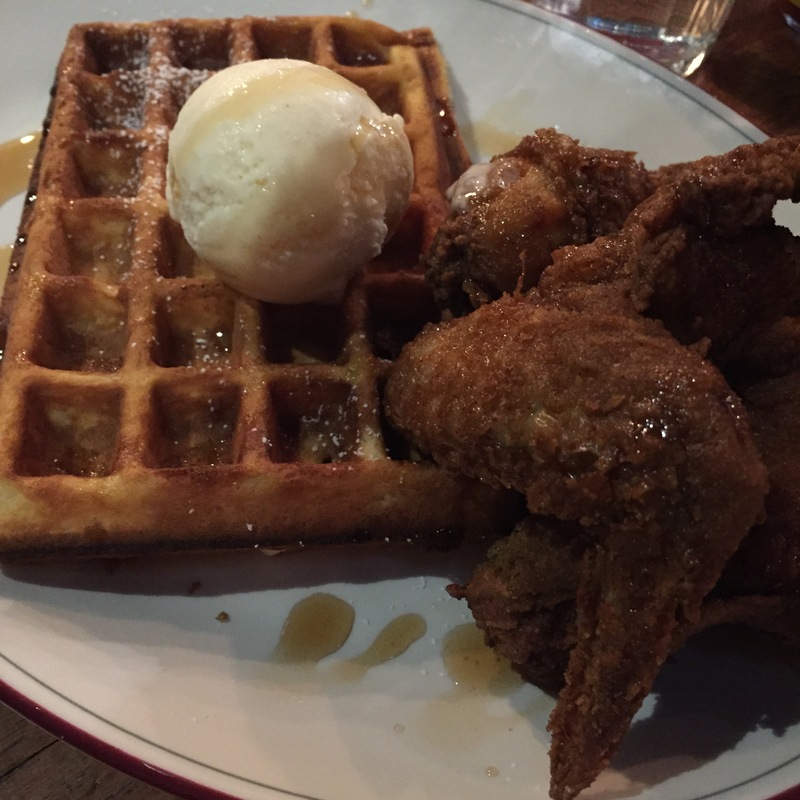 Finally we went for a classic – chicken and waffles. We loved the light and crisp waffle and the sweetness of the maple and slight dust of sugar. The chicken was a good as it had been with our meal, and we left happy and full!